Skiers will find several trails ripe for exploration in the Rhinelander Area, from gentle, scenic routes to more challenging trails. Washburn Lake Silent Sports Trails – 15 miles of trails are groomed in the winter for traditional and skate-style skiing. Located just 7 miles west of Rhinelander off of Washburn Lake Road. Northwoods Ski Trails - Ski eight miles of expertly groomed trails at the scenic Northwood Golf Course. The trail is located 2.5 miles west of Rhinelander, just off Highway 8 on Golf Course Road. 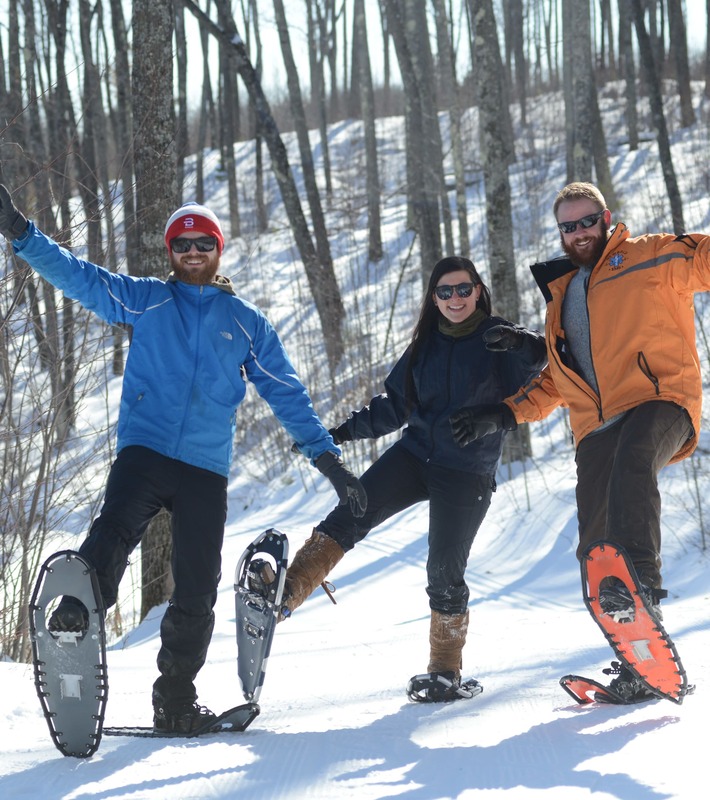 Late-winter brings great snowshoeing conditions to the Rhinelander Area. The Rhinelander Area offers several trails to explore in the winter. Almon County Park Trail – Almon Park is located about 5 miles south of Rhinelander on Buck Lake. This short, 2.25-mile trail features beginner and intermediate terrain. CAVOC Trails – Located two miles east of Rhinelander, check out the five miles of challenging trails run through the forest in loops of varying lengths. Rhinelander is the Ice Fishing Capital of the World, so grab those tip ups and hit our lakes. Whether you are looking to check bluegill, perch, walleye or bass – our lakes have them all and more. Check out a local guide service if you are looking to take your fishing experience to the next level. Bike year round here in the northwoods! 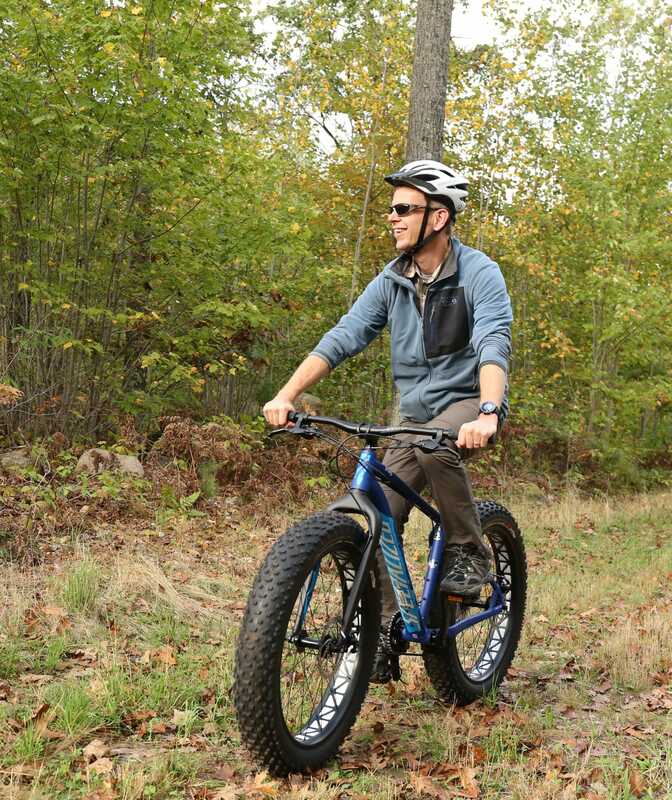 The snow on the ground shouldn’t deter you – a fat bike can keep you in great riding shape all winter long. Mud Lake Trails – 3.5 miles North of Rhinelander are over 8 miles of trails groomed for fat biking in the winter. Enterprise Winter Recreation Trail - The Enterprise County Forest Winter Recreation Trail is located approximately 8 miles south of Rhinelander on Co. Hwy G in Oneida County. The trail is groomed fat-tire biking, however, cross country skiing and snowshoeing are also permitted on the trail. 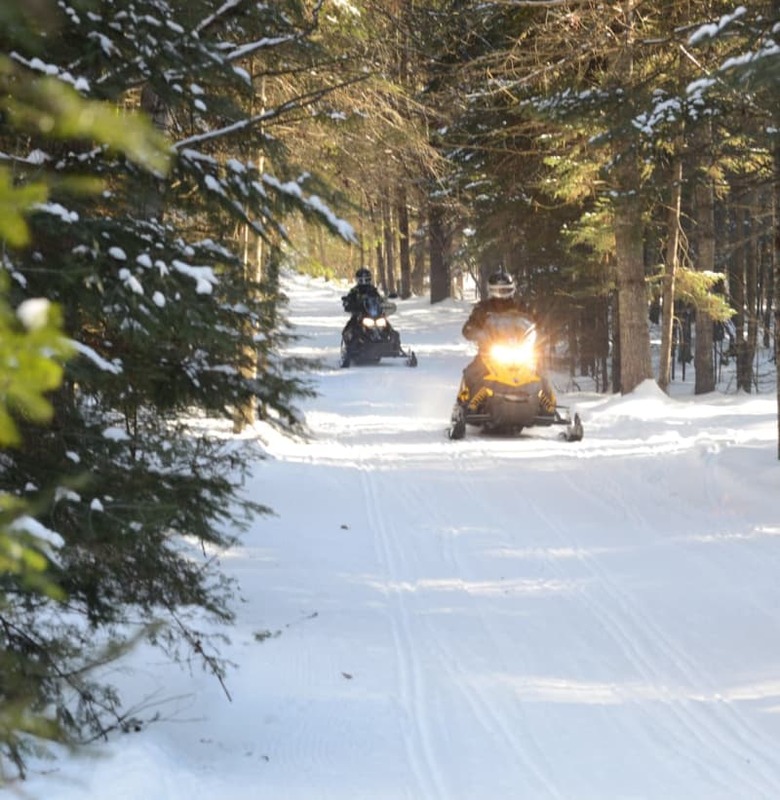 The Rhinelander Area is the perfect hub for snowmobiling the Northwoods. More than 1,000 miles of trails run throughout Hodag Country and the surrounding area, and these trails link to thousands more miles of trails throughout northern Wisconsin and Michigan’s Upper Peninsula. Stop by the Chamber today to get your Snowmobile Map. Rhinelander has two great sledding hills. 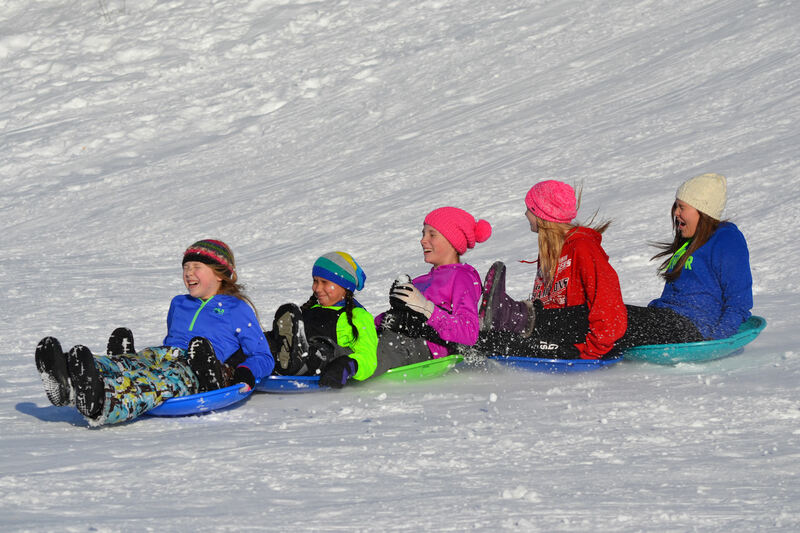 Spend a day sledding – but don’t forget to bring your own sleds or tubes! Sarocka Field – Intimate park with a steep sledding hill and playground located two blocks to the east of the Oneida County Courthouse. Northwood Golf Course Driving Range Hill – In the off season the Northwood Golf Course driving range is the perfect sledding hill. Located 2.5 miles west of Rhinelander, just off Highway 8 on Golf Course Road. Rhinelander has great options for indoor and outdoor ice skating and hockey rinks. Trig's Green Space – New this year - visit the outdoor rink next to Trig's and the Rhinelander Post Office. Rhinelander Ice Arena - The Rhinelander Ice Arena offers open skate at their indoor rink. Check out their website for more details.